Huawei is set to release the next device with a Kirin 970, the Honor V10, in December. 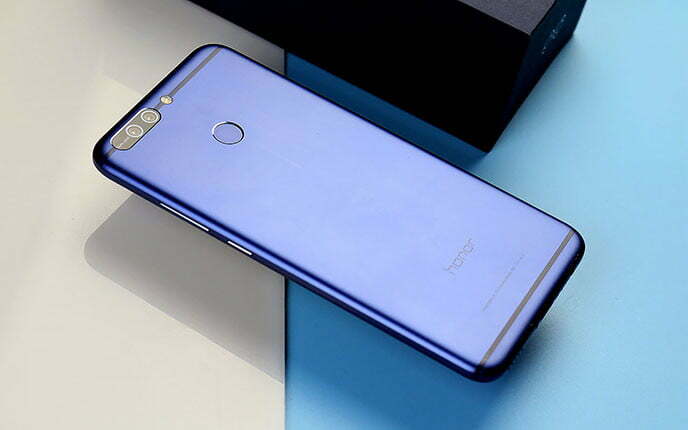 The V10, also to be known as the Honor 9 Pro, will share a lot of features with the Mate 10, while costing significantly less. The Huawei Mate 10 and its Pro version were released a few weeks ago, with both devices offering complete flagship packages at an, admittedly, high price point. Huawei is set to bring the Mate 10 devices to the mid-range segment with the Honor V10, with the V10 expected to launch in December. The Honor sub-brand was launched in 2013 as a way for Huawei to compete in the budget market, leaving the company's main line to more lofty endeavors. The V10 will be the next representation of the Honor brand purpose, as it promises to deliver features similar to that of the Mate 10 devices, at a much lower price point. The V10, much like the Mate 10 phones, will be powered by the Kirin 970, and will feature the same 20 MP + 16 MP camera setup, and 6-inch 18:9 display as the Mate 10. It will ship with 6 GB of RAM, up to 128 GB of storage, and the Oreo-based EMUI 8.0. Most importantly, it's expected to launch with a price tag of about US$450, over US$200 less than the cheapest Mate 10 variant. A December launch in London is expected.